First I saw Gerald in the chat and decided that I need to get acquainted with this handsome man! I wrote him a letter and fortunately, he paid his attention to me!Wow to say that I was happy it is to say nothing! After a lot of nice conversations, Gerald said to me that he’ll be in Ukraine soon. I couldn’t believe it, but it was true and we embodied our meeting in the real life! I was very excited before our meeting, but Gerald is very kind and attractive man! We spent amazing time together, he was so opened with me and it was a pleasure to got to know better him. We spoke a lot, I had a feeling that Gerald is my native soul! During all meeting atmosphere was light and romantic.The time melted so fast. 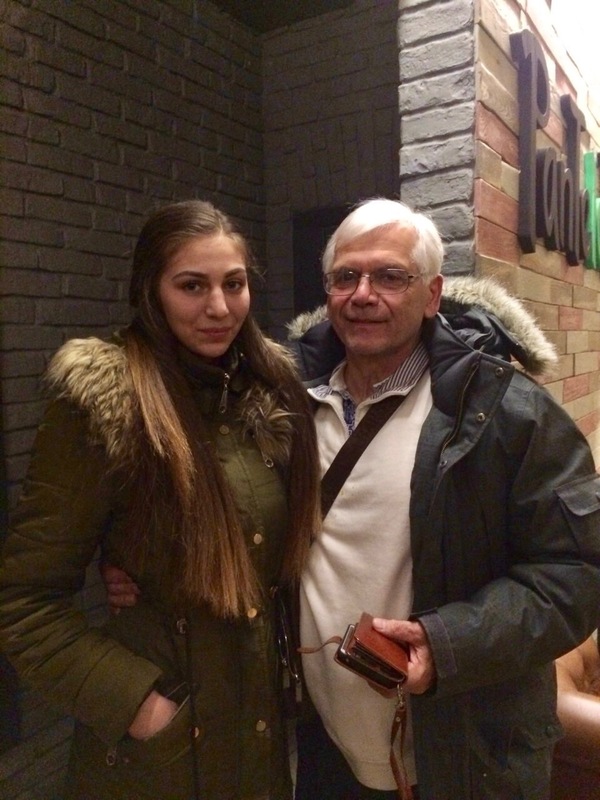 I didn't want to end this nice evening,so we decided to meet again .He said that he was looking for a wife here and who knows maybe one day it will be me))Unfortunately, Gerald came back home, but when he’ll visit Ukraine again we’ll meet exactly! I’m impatiently waiting for our next meeting and i believe that it won't be the last! Thanks a lot to Mariya-club for such great opportunity!!! I'll never forget this evening.